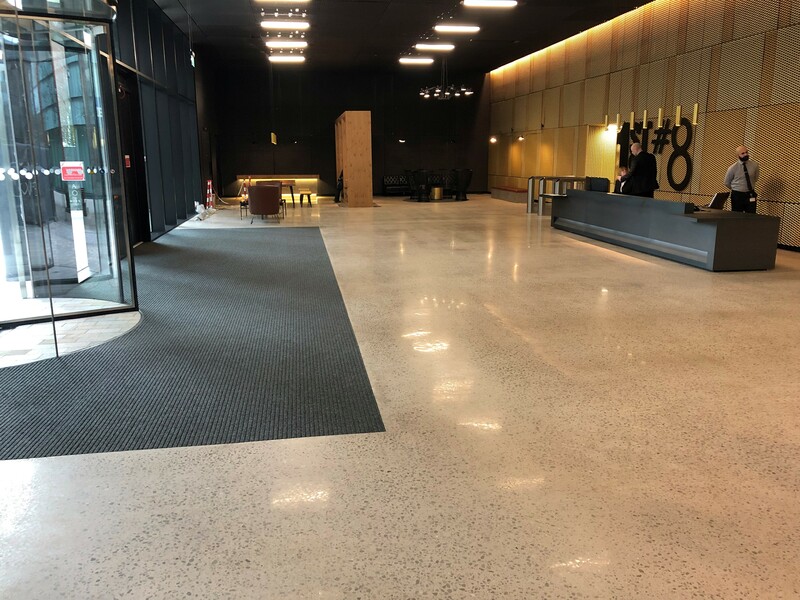 Quest was contacted by a Northwest Main Contractor to grind & polish concrete in a new office reception in Manchester City Centre. 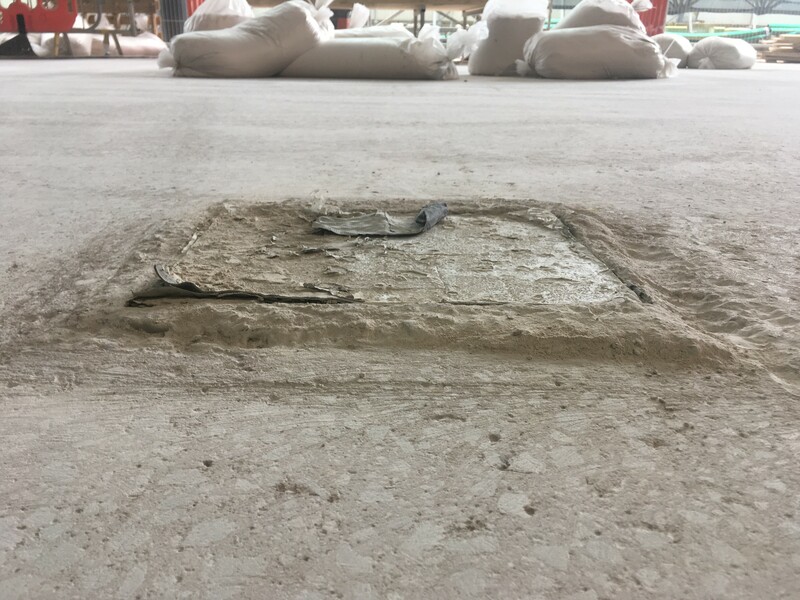 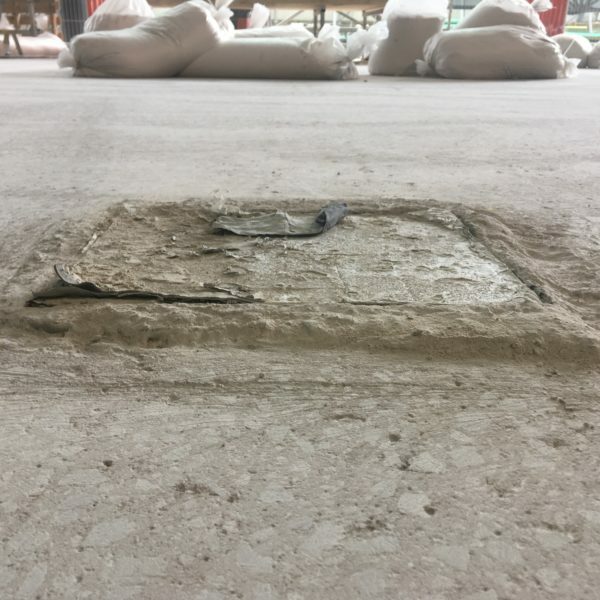 Upon site survey, it was determined that the newly installed concrete had suffered from rainwater damage and poor installation which raised concerns as to whether a polished finish could be achieved. 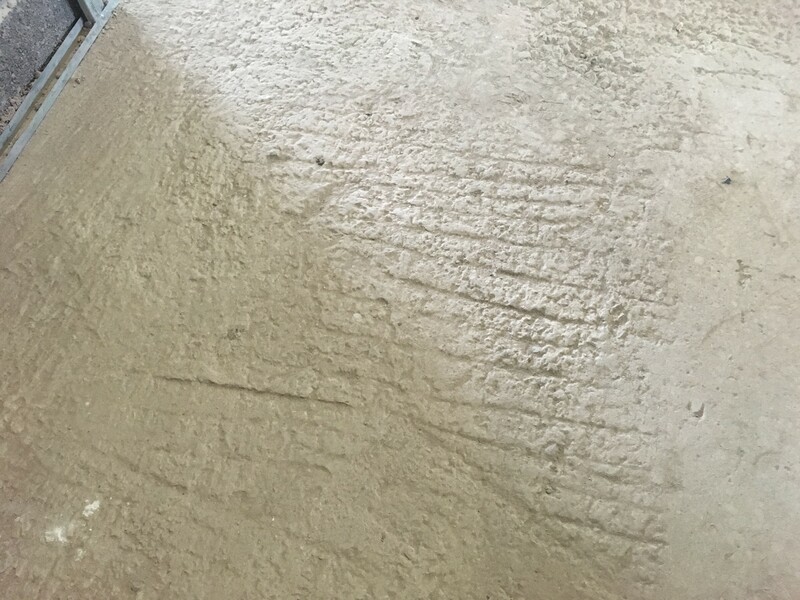 Based on this Quest suggested that a sample of Grinding & Polishing be carried out to ascertain whether this could be achieved. 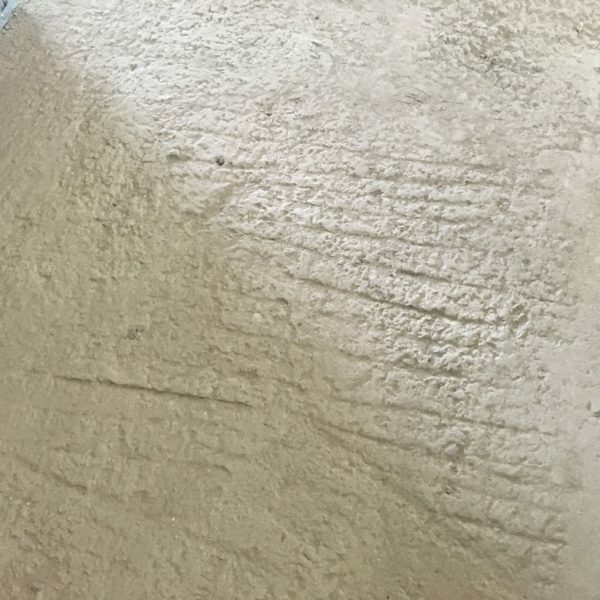 This was agreed and a sample was duly carried out with great success and amazement from the client. 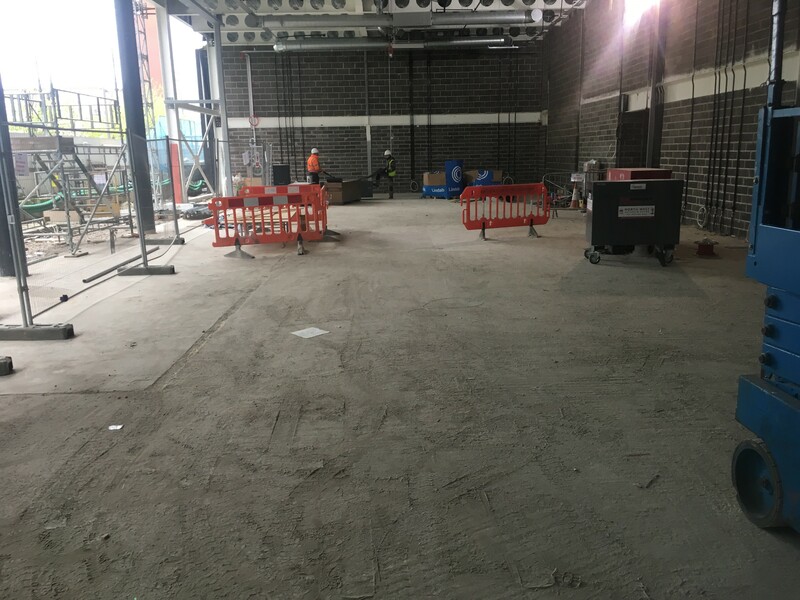 An order was placed to carry out the works to 700m². 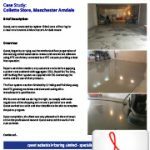 To achieve the final finish, up to 15mm of concrete surface was ground & polished. 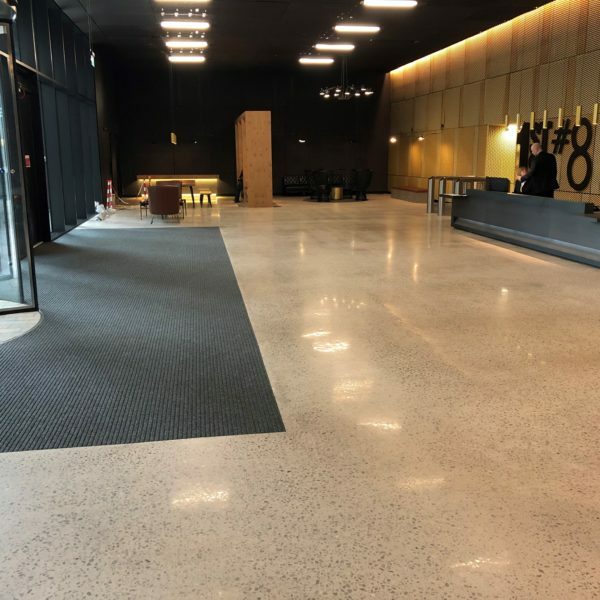 This was completed over a 10 day period using HTC RX8 & HTC HDX 800 machines connected to HTC i8 Vacuums for maximum dust suppression, incorporating the use of Densifiers, grout and impregnating stain resistant sealer. 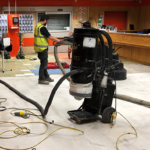 All in all a very time-consuming project, however very rewarding with another satisfied client. 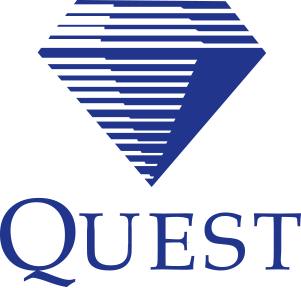 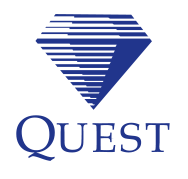 © Quest Industrial Flooring Ltd 2017. 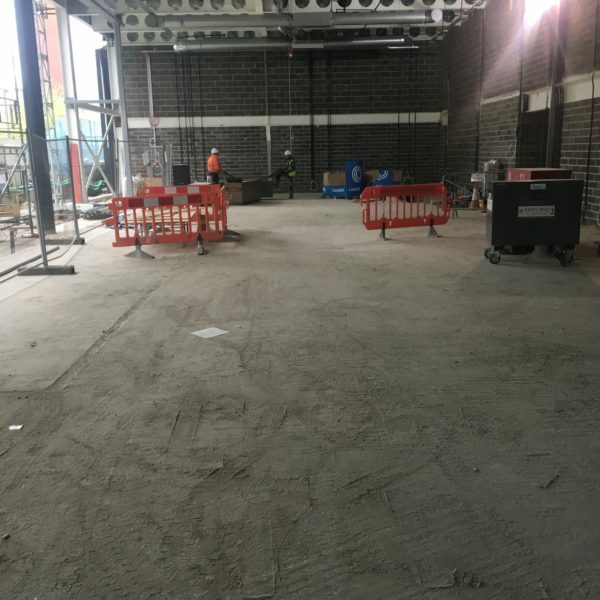 Site Credits.